Today was both happy and sad for me. Once again my time in Uganda teaching the pharmacy students at Makerere University and working with them and the Pharmacy Interns at Mulago and other hospitals has come to an end. I’ve been here for 4 weeks but the time has gone quickly since I seem to pack every minute full of activities. Besides teaching the Pharmaceutical Care Skills Lab all day every Tuesday, working at the hospital with students all day on Wed and Thursday morning, working with Interns on Thursday afternoons, and teaching all day on Friday, I’ve also spent 1 day at Nsambya Hospital and 2 days at Mengo Hospital with Pharmacy Interns. I’ve presented a career day talk on Pharmacy Careers in Academia for the Pharmacy School, educated Internship Supervisors of Kamapala about Pharmaceutical Care and delivered a talk on Strengthening Pharmaceutical Care in Uganda to the membership of the Pharmaceutical Society of Uganda at their Annual General Meeting. 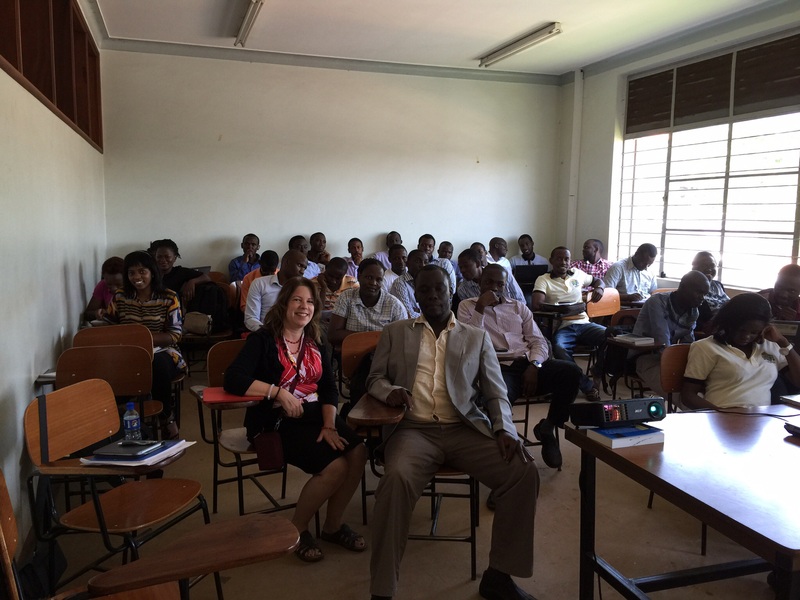 I’ve also had the chance to meet some new people this trip and forge new collaborations with the Medical Microbiologists at Makerere University Medical School and the Pharmacists of the Infectious Diseases Institute. The 4th Year Pharmacy class with George, one of the faculty, and me. 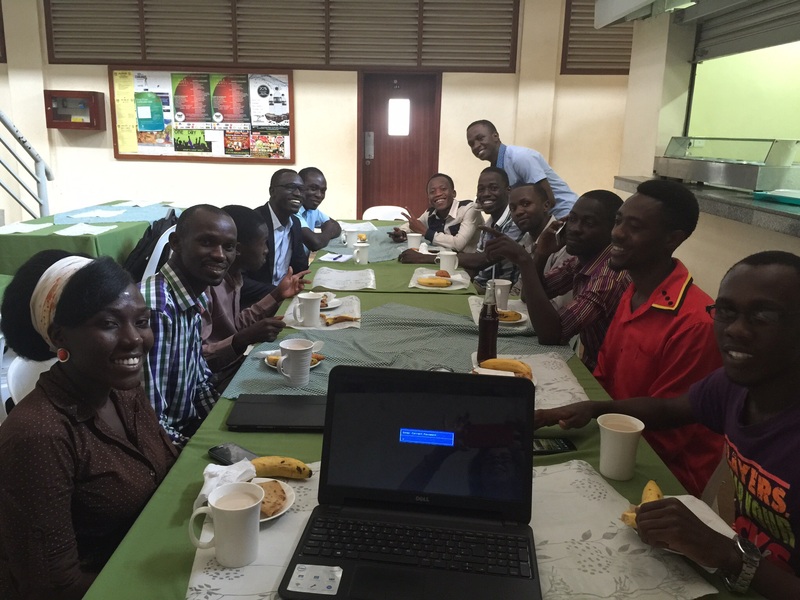 After class today, I was surprised by the Makerere Pharmacy students when they held a small event to thank me for my work with them. They had asked if I could meet with them but I was expecting an informal conversation. We did get a chance to talk about why some of them decided to go to pharmacy school and I told them more about pharmacy careers in the USA, but in addition to that, they all had kind words of “thanks”. Some of them told me that they thought they wouldn’t like going to the hospital but now they see how a pharmacist can truly help patients and have developed an interest in pursing clinical pharmacy as a career. 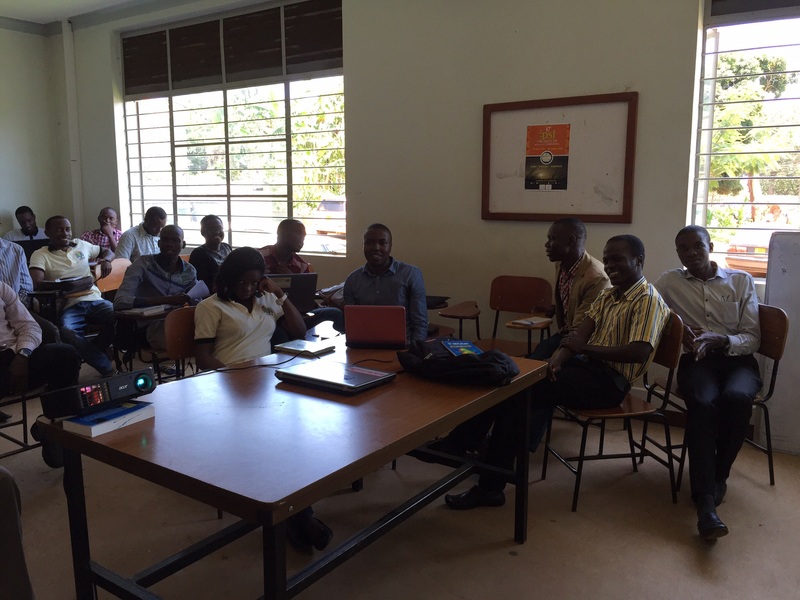 Two of them told me that I have motivated them to “be the change they want to see in Pharmacy Practice in Uganda”. I think these students motivate me as much as I motivate them! A gathering of students to say goodbye and “thanks” to me. 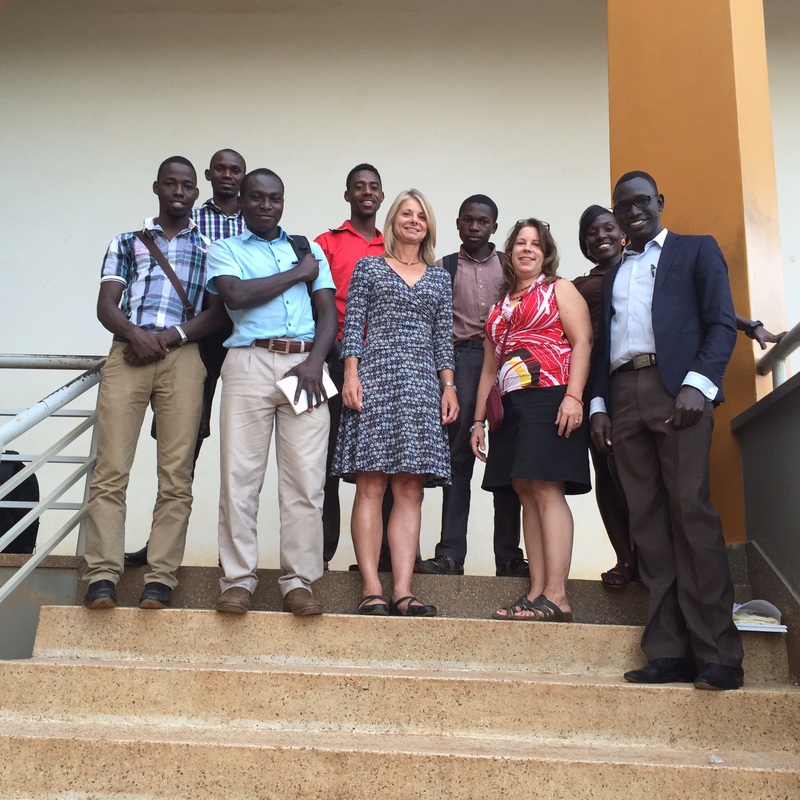 I look forward to seeing them when I come back to Uganda in April when I bring Wilkes Pharmacy Students and hopefully on many more trips to help teach at Makerere University. These students are so capable and bright and I just know they will make a big difference in the care of patients in Uganda if they continue to desire this and work towards it! 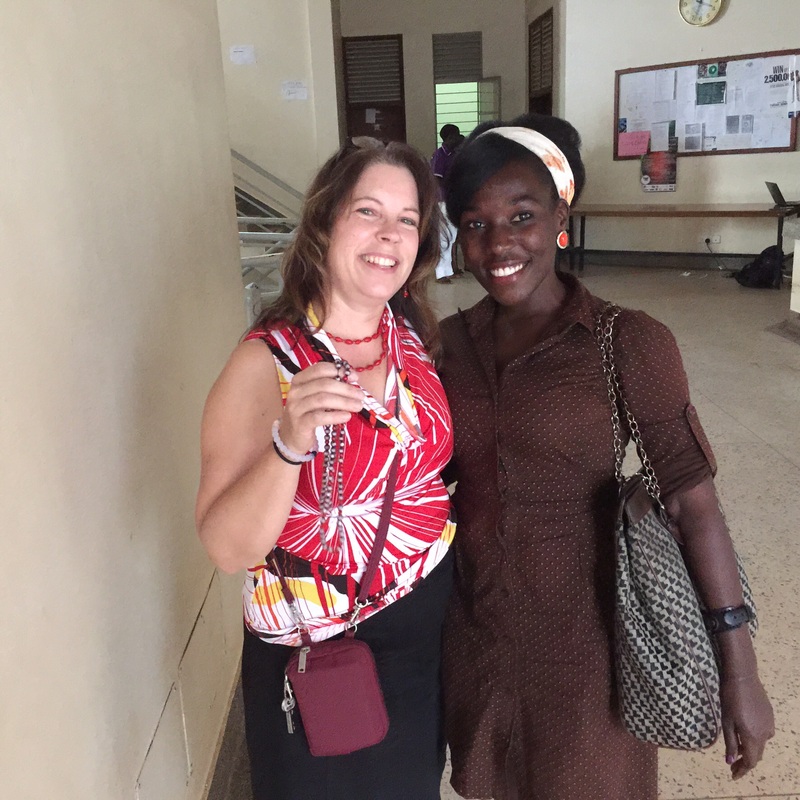 Faith, one of the two female 3rd year students, made me a beaded necklace/earring chain. What a special gift! 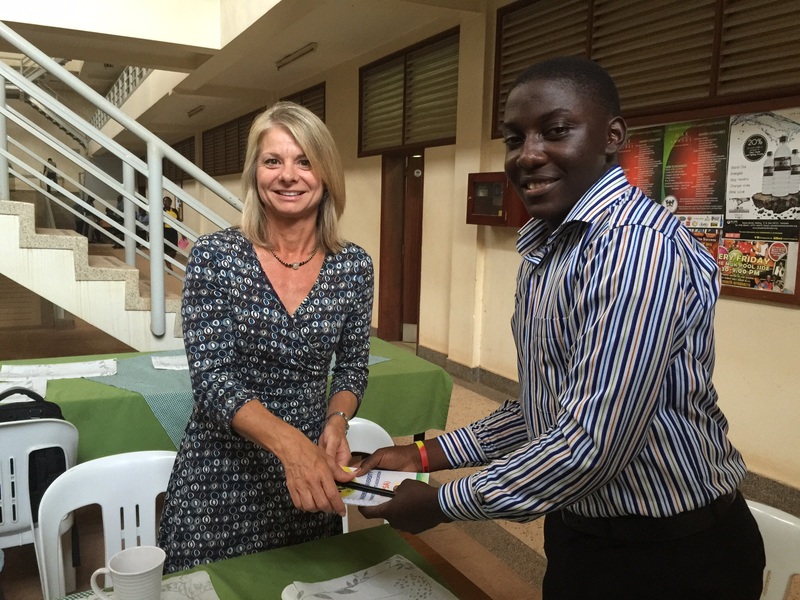 Finally, they presented me with a beautiful framed certificate and a really nice MUPSA (Makerere University Pharmacy Student Association) polo shirt! Thanks guys! It’s been a pleasure to teach you!!! 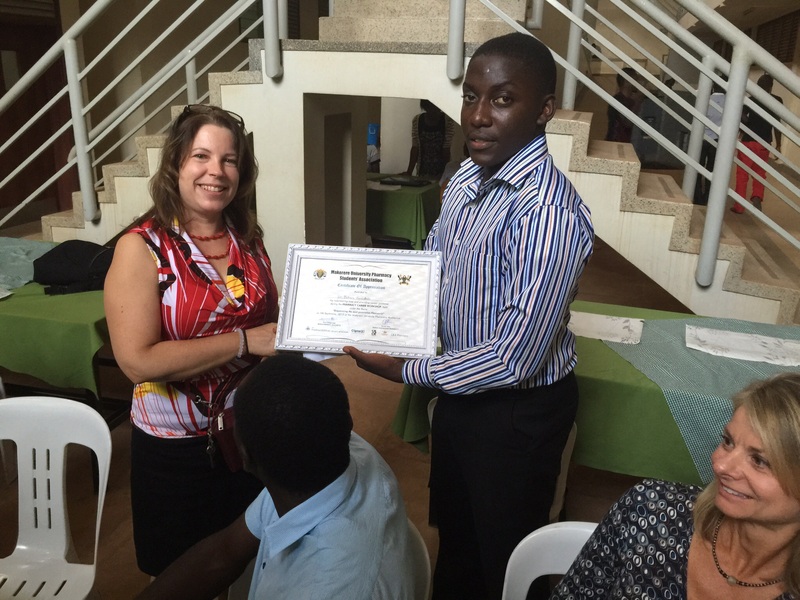 Simon presents the certificate to me. This entry was posted in Diseases/Health, Teaching and tagged Global Pharmacy Education, Global Pharmacy Practice, Kampala, makerere university, Makerere University Department of Pharmacy, MUPSA, Pharmacy Students, Uganda, Ugandan Pharmacy Interns, Ugandan Pharmacy Students, Wilkes University, Wilkes University School of Pharmacy. Bookmark the permalink.